This is a great sounding remaster. Really great. But my copy has clicks on Canton at the end of side one. Annoying, but there is a small line scratch right in the vinyl. That said, I also have the 2lp 45rpm edition, which sounds even better and is perfect. I highly recommend getting that, if you love this album as much as I do. It is an amazing experience! I first got the single disc remaster of the album here in 2018, which sounds great, except my copy has a scratch on Canton which makes some click sounds on the track. So, I let myself do what I wanted to do at first and bought the 2lp 45rpm edition. It sounds so good! I am so glad I have it now. I did not let myself believe this would be worth the extra expense, but for an album like this, one of my favorites too, it elevates it to a new level. Perfect sounding. 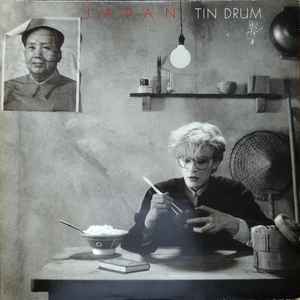 If you love Tin Drum I highly recommend the 2lp 45rpm edition. Apart from boosted contrast of the front image and some increased sharpness (compared to an original), it's a flawless reissue. The sound is very reminiscent of my German copy from 81, maybe slightly more detailed. The original tape hiss is there, compared to a 2003 remaster that tried to eliminate it to some degree. No surface noise, and the disc is flat. All in all, I'm super happy with it. Does this version come with the WAV download card/code, thanks. Hey there to the 3 people who already say they have this; if you really do have it early can you comment on the sound quality. Cheers, would be much appreciated. The 'single version' of "The Art of Parties" is actually the 12" single version. This may be a reissue but it sounds very good on my rega planar 5. If one ever imagined how "Japan" would sound - David Sylvian, Mick Karn, Steve Jansen and Richard Barbieri (minus Rob Dean, who left the group at this point) did their best to provide with a weirdly beautiful provocative audio-postcard from China, confronting the modern and the traditional into one damn great, ethnically funky cocktail of sounds, in stark contrast to the karaoke-machines and expensive automated hi-gloss production of the workaholic country their name so implies on.